In the early '60s Lou Gare, worked in the Mike Westbrook Band in a saxophone section alongside John Surman and Mike Osborne. He then spent several decades away from the jazz scene, as a member of the seminal free-music ensemble AMM. Eventually he moved to the relative obscurity of the West Country, continuing to play occasionally, a legendary figure among the cognoscenti, little known to the public. In 2010 he was re-united with Mike Westbrook when he joined what was to become The Uncommon Orchestra. In re-connecting with his jazz roots, a innovative and imaginative improviser, Lou showed himself to be an historically aware saxophonist in a line from Coleman Hawkins, Lester Young, Charlie Parker and Sonny Rollins. He was a major contributor to the Orchestra’s workshops and concerts, until health problems began to take their toll. Lou was involved in early performance of A Bigger Show but he was unable to participate in the recording of the album. He died on the 6th of October 2017. Lou Gare’s playing made a deep impression on all who heard him. There has to be a way of celebrating this creative period in the musical life of one of the UK’s and most original saxophonists. Fortunately Matthew North taped some of the concerts. Out of that material it has been possible to put together a series of musical snapshots of Lou Gare, tenor saxophonist, in full flight. As only such live recordings can, these tracks capture the essence of the sheer inventiveness, audacity and lyricism of a great Artist. Over three nights in the summer of 1992 the Associazione Catania Jazz presented a Mike Westbrook Music Festival, featuring the Orchestra in three programmes: Big Band Rossini, The Orchestra of Smith’s Academy and The European Song Book. The Orchestra at that time was at a peak and boasted one of its strongest line-ups. Featured soloists included saxophonists Alan Barnes, Chris Biscoe, Pete Whyman and Alan Wakeman, trombonist Paul Nieman, pianist Pete Saberton and vibraphonist Anthony Kerr. 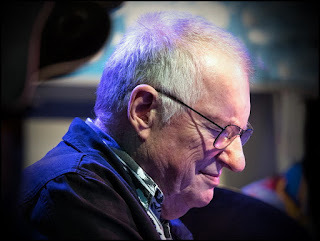 Vocalists Kate Westbrook and Phil Minton were joined, in Catania, by special guests Danilo Terenzi on trombone and by violinist Dominique Pifarely. This was the period of touring in the UK and Europe with Big Band Rossini, culminating in an Albert Hall concert in the BBC Proms. There followed a season at Ronnie Scott’s and an appearance at the Crawley Jazz Festival. The Catania album features state-of-the-art performances of Westbrook ‘classics’, many of them never heard before on record. With the discovery of previously unknown tapes, and with the help of Jon Hiseman and his Temple Music Studio, it is at last possible to re-create on CD a historic moment in European Jazz.